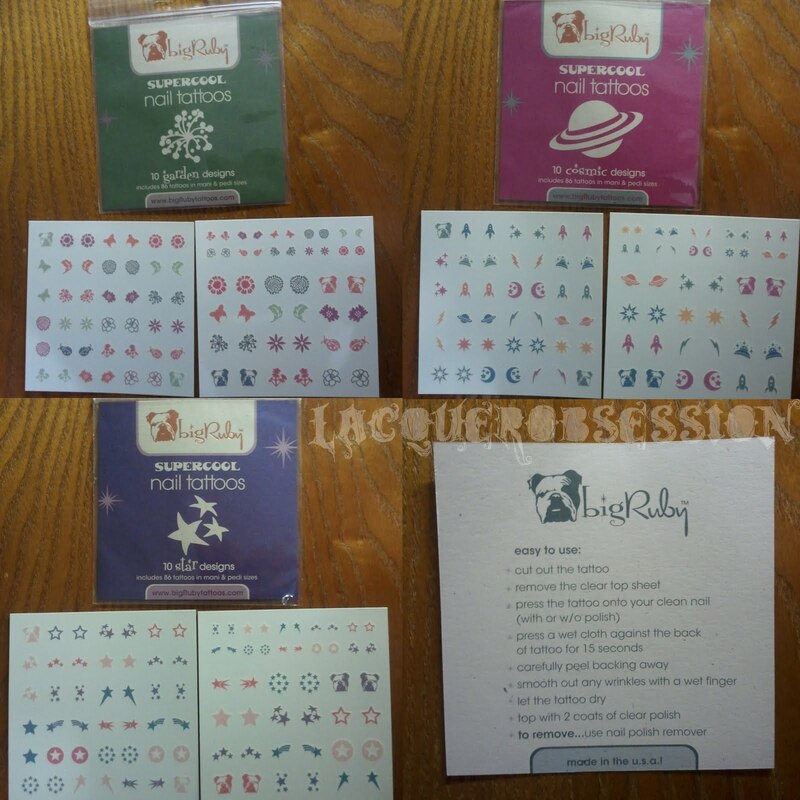 Today I want to show you something special, a great product from a small company with a big heart, bigRubyTattoos. bigRubyTattoos is a small cruelty-free company that specializes in making nail tattoos in a variety of designs while donating part of the proceeds to The Kindness Ranch a sanctuary for research animals. I received the Garden, Cosmic and Star designs, as well as the Super Dry Top Coat for review (Thanks Maria & Lauren). 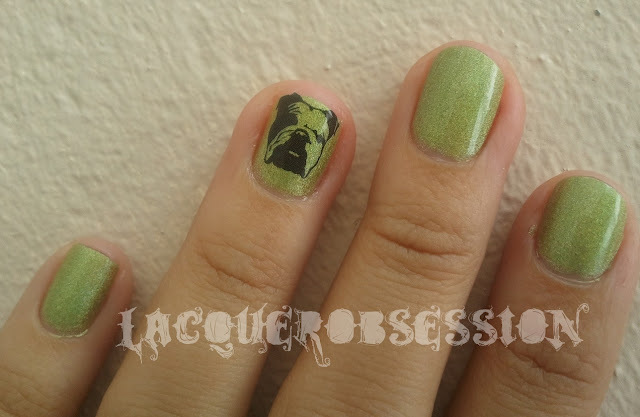 Since my university's mascot is a bulldog I decided to try out the bulldogs from the Garden design pack with my China Glaze "Laser Lime" manicure. After cutting out the tattoo I wanted to use I pressed it down and then placed a wet cotton ball over it for about 15 seconds. Once the tattoo was dry I applied two coats of the Super Dry Top Coat, it took me more time to decide on which tattoo to use than the application of it! & with some OPI "Black Shatter"
I think they look very neat and gorgeous, plus they are so quick and easy to apply! You can get the 86 tattoo design packs for $12.00 and the Super Dry Top Coat for $9.95 on the bigRubyTattoo website bigrubytattoos.com. 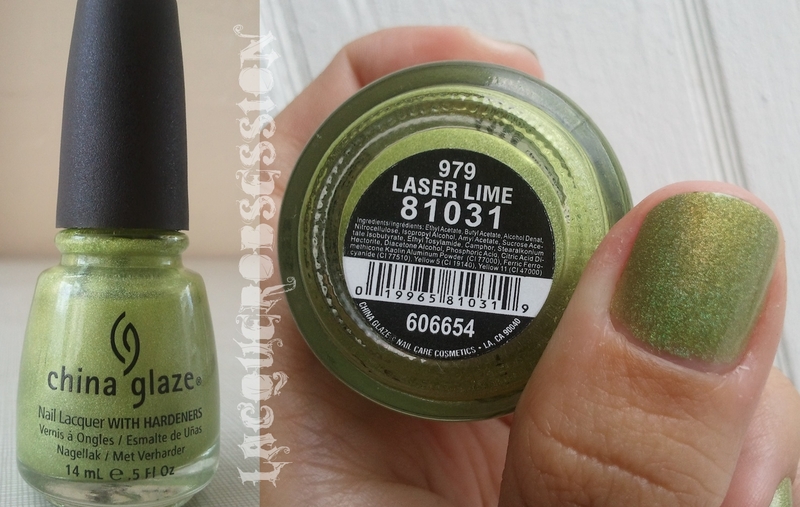 Here we have China Glaze's "Laser Lime" from the Tronica collection, a lime green holographic. Here's "Wet Cement" from Sally Hansen Xtreme Wear a light creme gray, it kinda remind me of Dr Remedys HEALING heather grey. * Sally Hansen Xtreme Wear "Pacific Blue", "Wet Cement" and "Black Out"
* BornPrettyStore's "Dotting Tools" and "Hello Kitty Stamping Plate"
Edit: This is what Sally Hansen Xtreme Wear's "Pacific Blue" looks like on it's own. 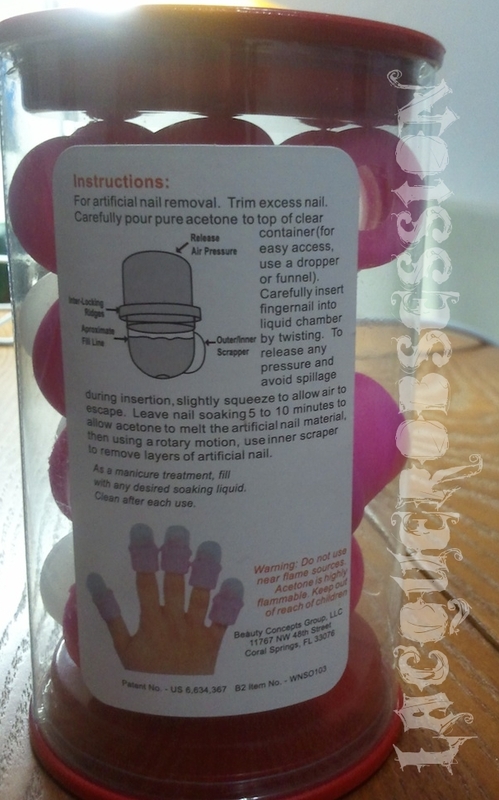 Today I want to show you a curious looking item I received from BornPrettyStore that can come in handy, Wearable Nail Soakers! 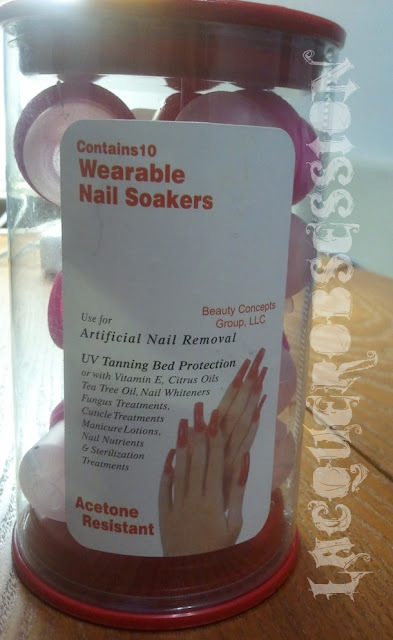 The packaging indicates that it can be used for soaking artificial nails in acetone & also for soaking in any desired soaking liquid or treatment. 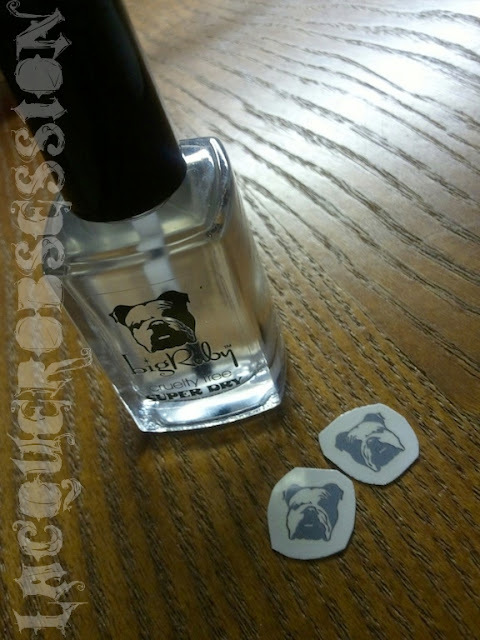 To test them out I filled them with water and cuticle oil. Once I put them on my fingers I let them soak for about 5 minutes. The liquid stays locked in allowing you to move around if you need to. If you want to use any liquid treatments or soak your nails in acetone while still being able to move around the house this is a really neat option. 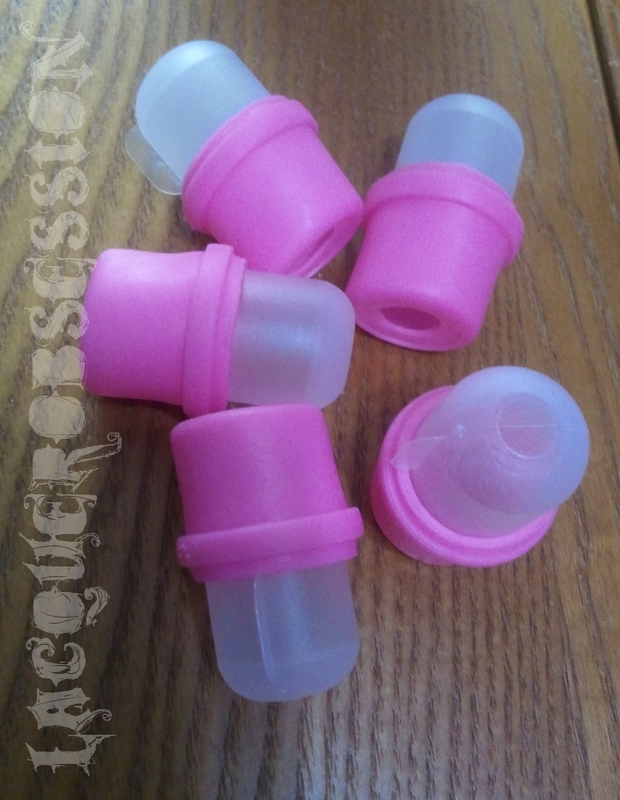 You can get these at BornPrettyStore for about $6.75. Edit: An important thing to mention which I forgot to say was that in order for the liquid to not leak these fit in rather tight. When I took them off I had the line market on my finger for a while, but I'm hoping they stretch out a bit with use so it stops happening. 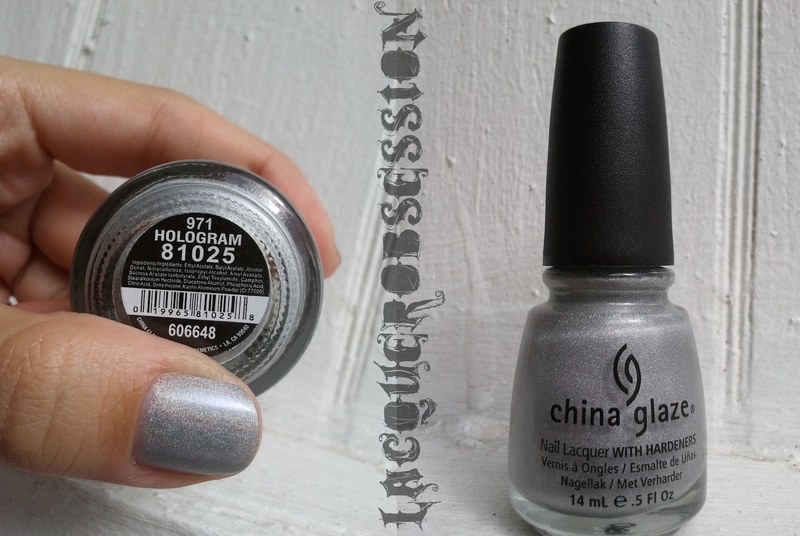 First of all here is the pretty "Hologram" from China Glaze's Tronica Collection all by itself. 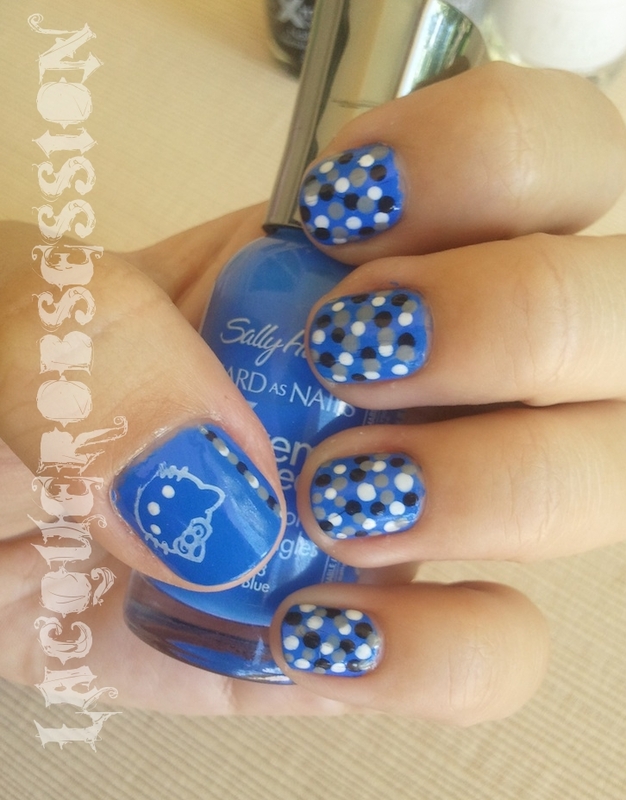 Now for the polka dots!! I received from BornPrettyStore this lovely set of dotting tools, which you can get for about $5 on their website. 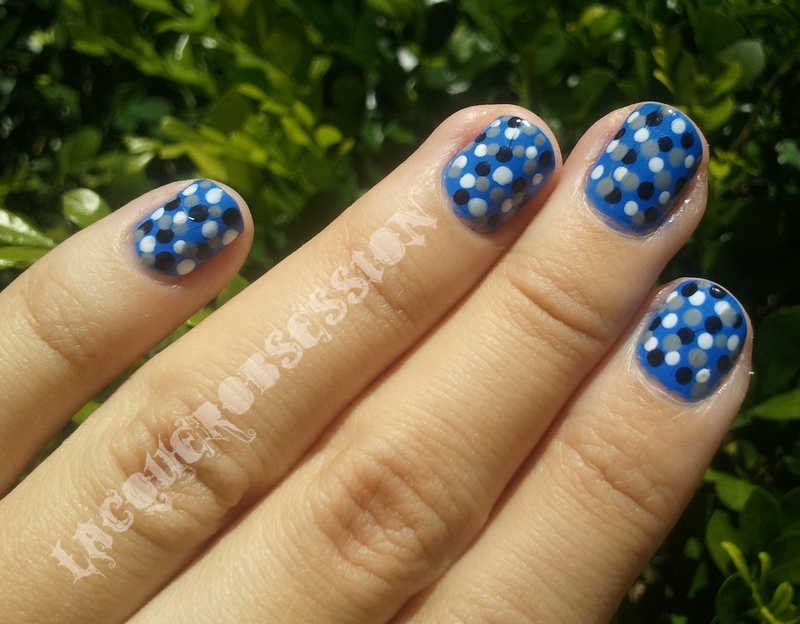 The dotting tools are great for nail art and make it very easy to make polka-dot manicures! 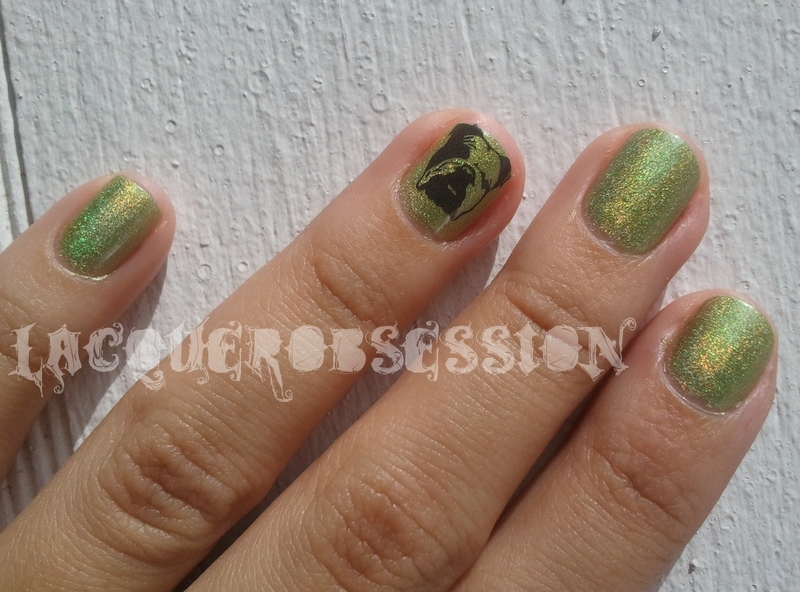 Here is one of the many possibilities of manicures you can accomplish with this great set. I used "Gamer Glam", "Laser Lime", "Mega Bite" and "Digital Dawn" from China Glaze's Tronica Collection for the polka dots. I recently was given the opportunity to review some products from BornPrettyStore, they offer a great variety of nail art products and nail polishes. 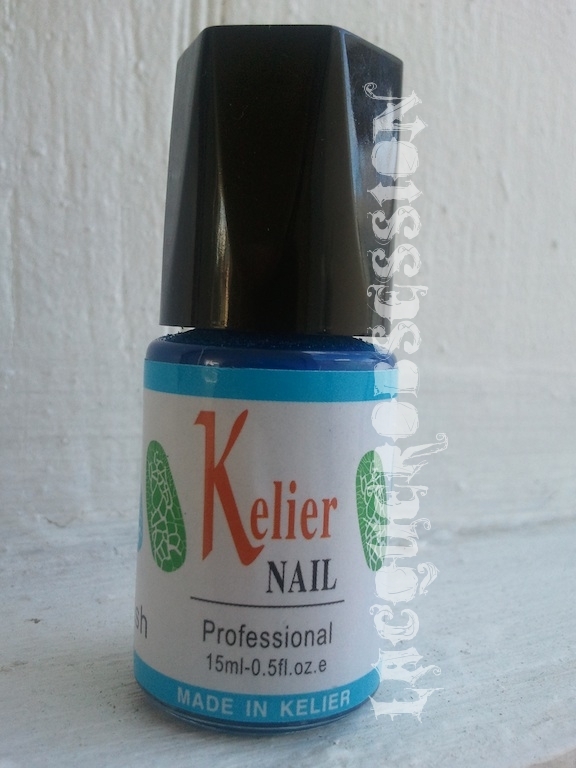 One of the products I chose to review was the Kelier crackle polish, I tried it out and compared it to the crackle polishes from China Glaze and OPI. I also noticed that you get an interest effect by just doing two layers of the Kelier crackle polish, it kinda looks like crumpled paper. A close up of the crackle! The video is in real time. 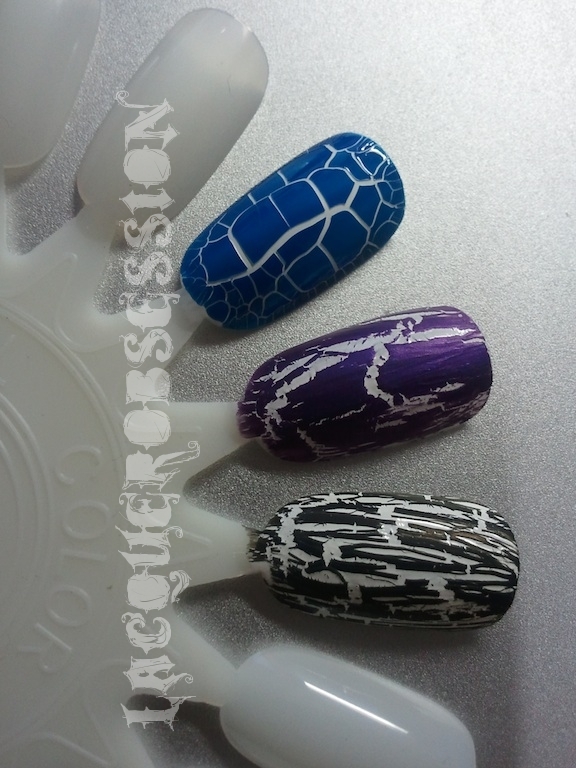 Here they are side by side: Kelier Blue crackle, China Glaze "Fault Line" and OPI "Black Shatter". Even though they are all crackle polishes, they all leave a different finish. 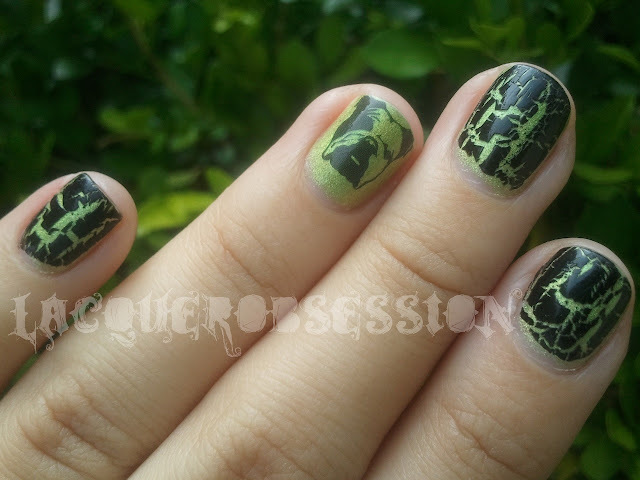 OPI leaves an elongated slim crackle, China Glaze leaves bigger crackle and Kelier leaves a smoother crackle. 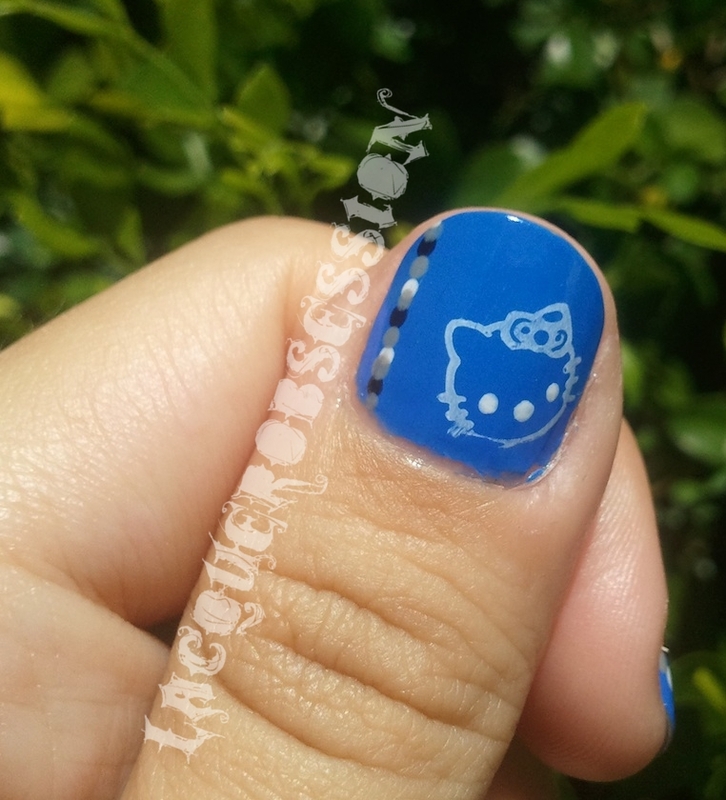 They also vary in the time they take to crackle, OPI and China Glaze crackle pretty fast whereas Kelier takes longer. The choice of which one to use would depend on budget, time and finish you prefer. 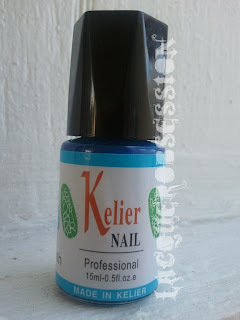 Kelier is available at BornPrettyStore for about $4.50. 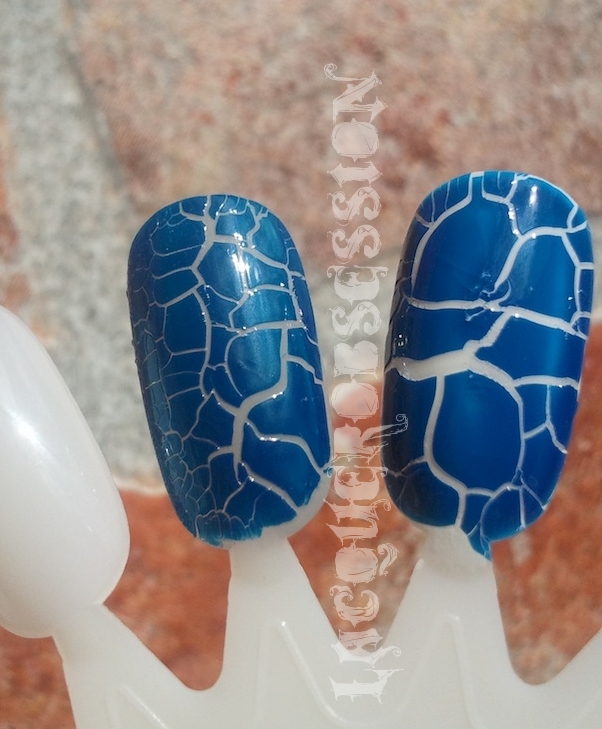 So, which crackle do you like best? Here is the gorgeous Nfu-Oh #63, a pink holo that I have just fallen in love with and have been wearing flawlessly all week (using Orly Bonder & OPI Top Coat)! !